"What are you going to order?" "A coke," He said, then turned to Mikan with a slight smirk, "I don't know yet Polkka dots." Aerith wondered briefly if these two were siblings as she said, "I'll be out with your drinks in a moment." She left and returned quickly with the tall glasses. "Do you need a little more time deciding on what to eat?" Isa had trailed out after Emil, not before giving the strange help in the back one last fleeting glance. "I told you not to call me that! 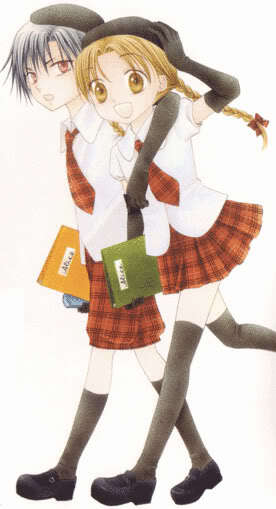 Yeah, I need more time please," She said, "and I think Natsume does too!" Natsume picked up the piece of paper and burned to ashes in his hand, but he was angry at her. He simply just liked to use his ability. He just nodded to Aerith in response, needing more time also. What an odd pair they were... The boy's pyrokinesis surprised Aerith, but compaired to the people she knew, that was perfectly normal. "All right, I'll come back when you're ready." She walked over to Xemnas and said, "If you want to take off early, you can. It's pretty slow today." 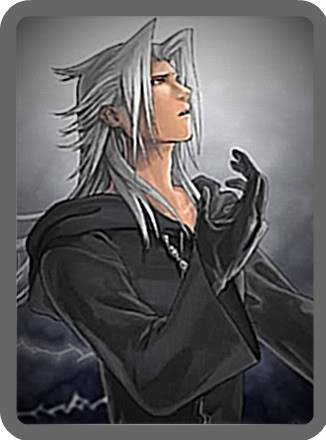 Xemnas smiled, "Uh...thanks. I'll go punch out." He walked to the back and slipped in his employee card and punched out. He picked up his Organization gloves and other things, put them in his pocket and walked to the front of the store. Finally he used a dark portal and waved bye to Aerith before going back to The Castle That Never Was. "Hey Natsume, let's get some kompeito!" She suggested, she loved sweet things. If anything was sweet to her, it was kompeito, because not only was it sweet, it was so cute to look at. "I'm going to get something....more filling," He said, looking at the bakery items such as donuts, bagels, and different types of bread, "you get the kompeito." "We have plenty of sandwhiches and other foods, too," Aerith said, returning. "I would like to order some kompeito and banana nut bread," She said, "How about you Natsume?" "Cinnamon bun and a few egg rolls." Aerith did her best not to react to the boy being rude. "Those'll be up in a jiffy." She went back to the kitchen to put together the order. A few minutes later, she returned with the bakery--which had been made ahead of time--and to tell them it would be a few minutes for the egg rolls. "Can I help you with anything else while you're waiting on those?" "This is all really good!" Natsume didn't respond, because he didn't feel the need to. "I'm glad," Aerith said. "Let me check on those egg rolls for you." She went back into the kitchen and put the rolls on the plate. "Here they are," she said, setting them down on the table. "Enjoy." All my characters are gone! Want Sephy back? Whoever you want to bring in, Indeed, but I think we've had enough Sephy for the moment. Beyond Birthday, aka BB, walked leisurely into the store with his hunched back and sloppy, red-stained clothes hanging off of him. Aerith nearly dropped her serving tray when BB walked in. Shocked, all she could manage was a, "Are you all right, sir?" before rushing over. She then found that the blood was dry, and not his. Why me? she asked herself before saying, "Um... Might I ask where this blood came from?" Beyond Birthday giggled and licked his blood-covered finger, "Places. Do you have any sweets?" "Erm, yes," she said. Should I call the police? It wouldn't look good for the shop if a murderer was dinging there. Or at least a blood-covered one. "Um, while I prepare some cake for you, would you mind going to the washroom and cleaning yourself off? It's right over there." She left to go get cake and debated the entire time about calling the police. Beyond Birthday chuckled a bit and cleaned himself off before returned, "Cake?" "Um, did you kill anybody?" Aerith asked, deciding to be direct as she put the plate down before BB. "I-if you did, I don't want a murderer in this shop." Beyond Birthday smiled, "Oh no. Of course not, Beyond Birthday did." He took a bite out of the cake and smiled, "Good." "Oooookaaaay." This guy was starting to weird Aerith out. I think I need to call the police, she thought. This guy obviously was psychotic. Why had she sent Xemnas home early? He could handle psychopaths. She picked up the phone in the back and dialed the police. "Um, hi? There's a creepy guy in my cafe. He walked in covered in blood. Uh huh. Thanks." She hung up. Mikan screamed at the sight of the bloody man and dashed out of the cafe. Natsume sighed and went after her. 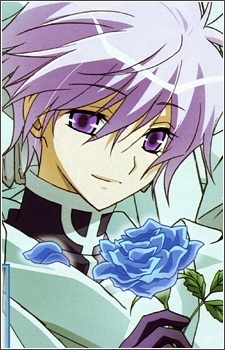 "Oh my," He said softly, "no wonder these flowers are terrified."